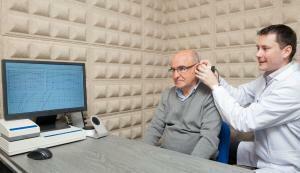 At the Hearing Group in West Orange, NJ, we provide top-notch audiology care and are committed to offering the latest in hearing aid technology to all our patients. Phonak’s family of hearing aids can enhance your life and provide an exceptional hearing experience anywhere, anytime. Phonak offers a variety of styles to treat mild to profound hearing loss. All of their hearing aids feature technology that improves the audibility of high-frequency sounds — adding understanding to hearing. Most Phonak hearing devices are also Bluetooth enabled, allowing you to communicate wirelessly to smartphones, TV’s, computers, tablets and other devices. Phonak is also a pioneer of rechargeability in the hearing industry with the introduction of lithium-ion rechargeable batteries. Phonak Audéo Marvel: This hearing device automatically chooses settings to maximize hearing performance in any listening situation. Phonak Audéo™ Marvel’s effortless connectivity for Apple and Android products and clear, rich sound technology give you better speech understanding in noisy situations with less listening effort. This first-class hearing aid comes in five models and nine colors and can be used by those who experience mild to profound hearing loss. Naída B: A powerful behind-the-ear style hearing aid, the Naida B is meant for those with moderate to profound hearing loss. Available in three models for different degrees of hearing loss, its water-resistant case makes it great for both children and adults. Sky B: Designed especially for children with hearing loss, the Sky B helps your child unlock their full potential by providing optimal auditory input for learning speech, language and literacy. Its playful but solid design is tough enough to keep up with the most active child. Bolero B: This hearing aid allows you to experience unrivaled hearing performance without having to manually adjust your hearing aids. All you have to do is turn them on, and the rest is automatic. The Phonak Bolero™ B-PR is our fastest-charging rechargeable hearing aid. 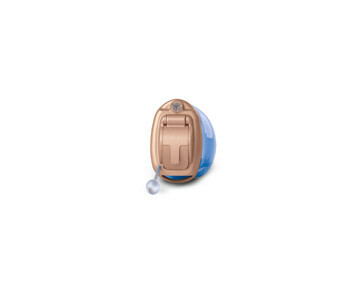 Virto B: A discreet in-the-ear style hearing aid, the Virto B is custom-crafted to fit into your ear canal. You (and those around you) won’t even notice that you’re wearing hearing aids. 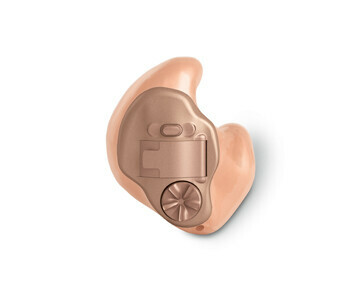 With six different models available, this custom hearing device fits a variety of budgets. Cros II and Cros B: These hearing devices are designed for those with unaidable hearing loss in one ear and better hearing in the other. The system works by sending a wireless signal from a transmitter that’s worn on the unaidable ear to the hearing aid on the other ear, allowing you to hear sounds from any direction! If you’re ready to try Phonak hearing aids, contact us online or call The Hearing Group at 973-542-4031. We offer audiology services and hearing aids to patients in West Orange, NJ, and throughout Essex County.